Champions League is back for another glorious campaign, and it’s down to 31 teams in Europe to try and knock Real Madrid off their perch. 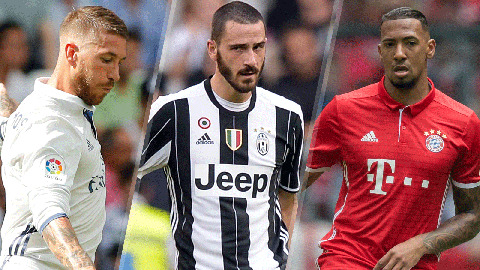 These are the 10 best defenders tasked with ruining all the fun around Europe this season. A little known fact is that the Germans actually have a better multi-tool than the Swiss Army knife, and it’s called a Philipp Lahm. Pep Guardiola called Bayern’s captain the "cleverest player he has ever worked with", and it’s no exaggeration. Lahm’s basically just a coach who wants to keep the dream going as long as he can. Able to play across the back line or in midfield, Lahm doesn’t quite have the legs he used to, but it’s ok. His mind’s just as quick as ever. Diego Godin looks like an accountant. This has nothing to do with his ability, it just needed to be pointed out. On the soccer side of things, Godin is one of the most dependable and stellar defenders on this planet. A fantastic leader and nearly unmatched in the air from set pieces, Godin is basically the sporting equivalent of Gandalf. None shall pass. 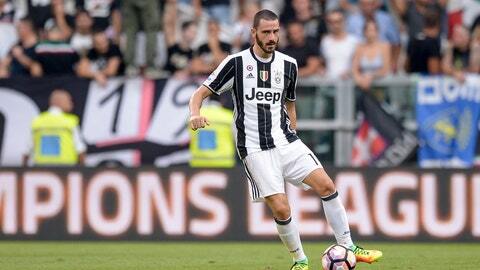 Juventus’s BBC (Bonucci, Barzagli, Chiellini) trio of fearsome defenders are each fantastic players in their own right, but their undisputed leader is the 29-year-old Leo Bonucci. Signed in 2010, the last couple years have seen the Italian center-back truly make his claim as best defender in the world. He’s got the passing range of a deep-lying playmaker, reads the game better than nearly anyone in the world, and tackles like an angry rhinoceros. In a word, Pepe is nasty. If you have the immense misfortune of being a striker opposite the Portuguese center-back, have your training staff prepare an ice bath directly after the game, because you’re going to need it. 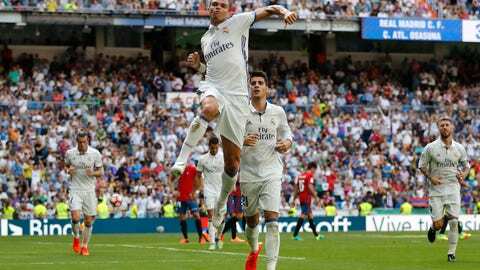 Pepe doesn’t give attackers a single iota of space when he’s defending, and everyone he takes on leaves with some sort of memento from the encounter. He’s a masterful defender, and he does his level best to make life hell for anyone he comes across. Jerome Boateng is built like an NFL tight end, but the only thing he’s catching is opposition strikers. One of the quickest defenders in the game, Boateng’s intelligence matches his athletic ability, and under Pep Guardiola’s tutelage he’s become a world beater. Blessed with world class pace, immense strength, and superb technique, Boateng is the prototype modern defender. 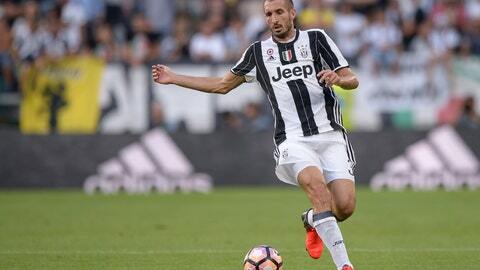 If Leonardo Bonucci is the beauty in Juventus’ defense, Giorgio Chiellini is the beast. Where Bonucci elegantly strolls around the park dinking 70-yard passes and nicking the ball before attackers even know it's heading their way, Chiellini clunks around the pitch, all flying knees and elbows. It may not be pretty, but neither is staring up at the sky after being caught by a proper Chiellini tackle. Real Madrid have their own “Beauty and The Beast” situation going on, and Sergio Ramos is clearly the Belle of the Merengue Ball. 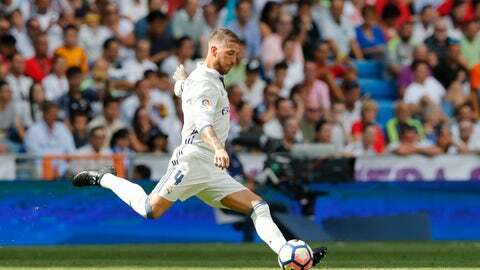 A swashbuckling center-back who loves to score more than he loves to defend, Ramos has the silky skill of a midfielder, but the surly demeanor and willingness to cause bodily harm of a much less culturally inclined player. There’s a reason Bayern Munich are early favorites for the Champions League trophy. Their defense of Lahm, Hummels, Boateng and Alaba looks like it was cooked up on FIFA Ultimate Team, and their 24-year-old Austrian (I guess we can call him a) left back is perhaps the most intriguing one of all. 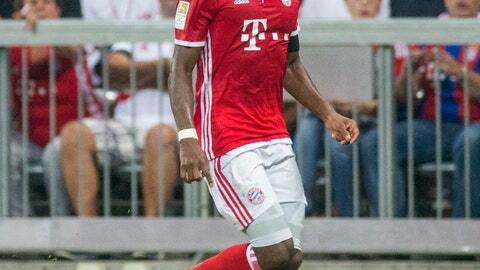 A center-midfielder for his national side, Alaba slots in at left back for Bayern. He can also slot in just about anywhere else you made need him. Pace? Check. Strength? Check. Skills for days? Get the man a verified check. Alaba can do it all. Nicknamed “The Wall,” Andrea Barzagli is the oldest member of Juventus’ backline, and he’s definitely the wisest. From the Italian school of Remarkably Athletic Old Men, 35-year-old Barzagli typically can be found calmly sipping an espresso in each and every one of the opposition’s passing lanes. Nearly impossible to beat one-on-one, the only thing that’s more consistent than Barzagli’s on-field facial expression is his performances. Thiago Silva may look like a baby, but he defends like a grown man who is … very good at defending. Silva’s cast from the Ideal Brazilian Center-Back mold: athletic, strong, and a great reader of the game, he’s as fantastic on the ball as you expect one of the samba kings to be. Silva may have fallen out of favor with the national team for a while, but on the club side he’s still one of the best in the business.